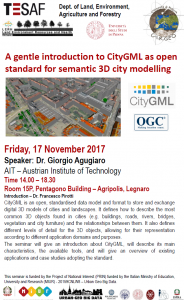 Seminar titled “A gentle introduction to CityGML as open standard for semantic 3D city modelling”, by Dr. Giorgio Agugiaro, currently at the Austrian Institute of Technology on topics related to the use of CityGML. 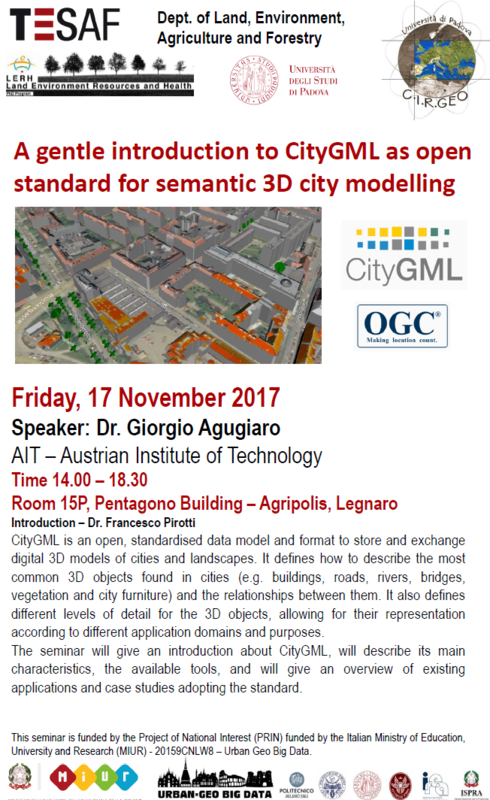 Held November 17th @ 14:00 in CIRGEO lab at the Agripolis campus. More info in the flyer below. For more info contact Francesco Pirotti. Tags: 3d urban data, citygml, gis, open geospatial consortium, seminar. GIS and Remote sensing Annual Scientific Forum. March 6-8, 2017. Dubai, UAE. The URBAN-GEO BIG DATA project will contribute to improving the exploitation of new data from EO and mobile sensors, for a better understanding of a number of urban dynamics. It will extract information from data, and represent it for better comprehension aiming at an improved public engagement. Acknowledgement: URBAN-GEO BIG DATA is a Project of National Interest (PRIN) funded by the Italian Ministry of Education, University and Research (MIUR) – id. 20159CNLW8. 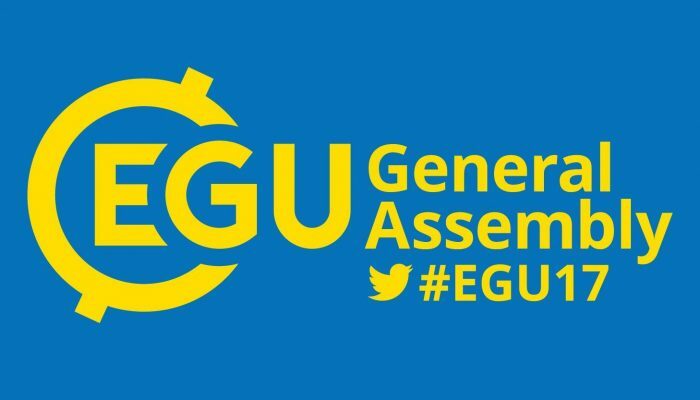 Professor Riccardo Lanari was awarded with the Christiaan Huygens Medal at the EGU 2017 in Vienna. The award was followed by the lecture “Radar interferometry from space for surface deformation investigation: 25 years of developments and observations”. The abstract can be find at the following link.